Google Calendar Sync is available for Pro subscribers and above, along with new subscribers on a free trial of Pro. 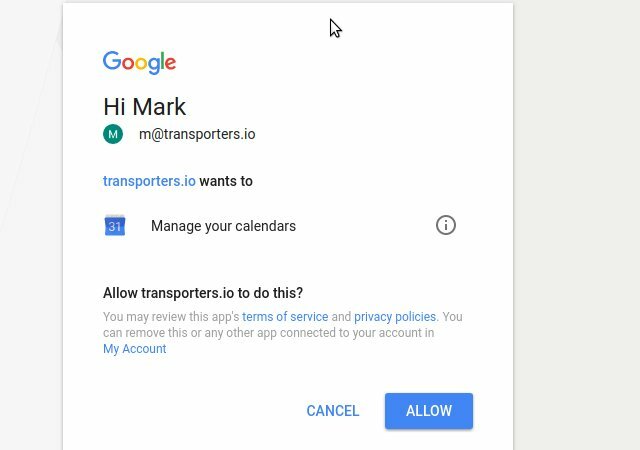 Once activated it will automatically sync all of your transport bookings onto a google calendar, letting you view alongside any other details you record in your calendar. 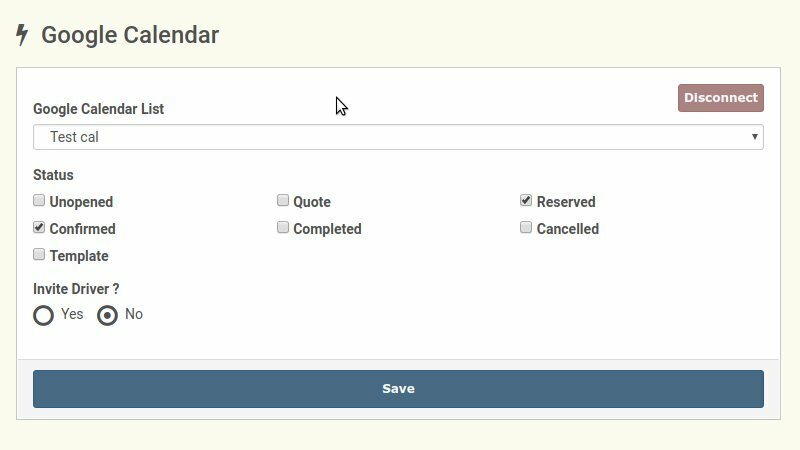 To get started, we recommend creating a new calendar specifically for Transporters. This will allow you to share the transport separately to your personal calendar and easily toggle the view on and off. 2 - Choose your account. 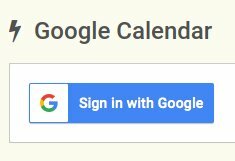 If you are already logged into your google account this will be displayed automatically, otherwise you will need to login first. All of your calendars will be shown in the Google Calendar List dropdown. If you created a new calendar before starting this then we recommend you select that now. You can choose which Order Status to sync with google. We recommend only syncing Reserved, Confirmed and Completed but this choice is down to your preferences. Invite Drive will, if enabled, include the assigned drivers email address as a participant for each journey, helping to keep your drivers aware of all their jobs. 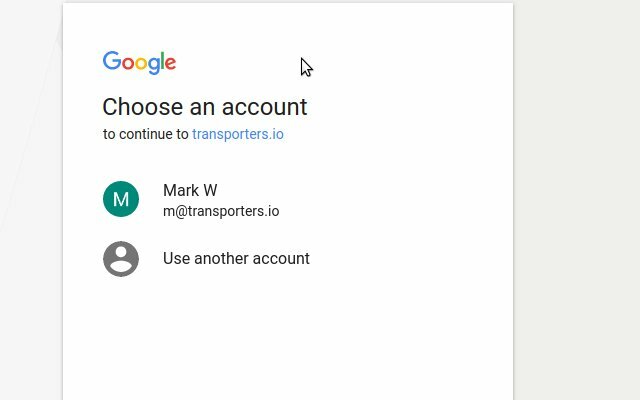 This is a one way sync, changes made in google will not update Transporters so make sure to record any changes in Transporters. Jobs update in the background, any change made within Transporters should appear in your calendar within 5-10 minutes. Only Orders added or Updated after enabling the Calendar integration will move across. If you wish to move past Orders you can either open and update them or reach out to our support team if you want to bulk move all Orders.